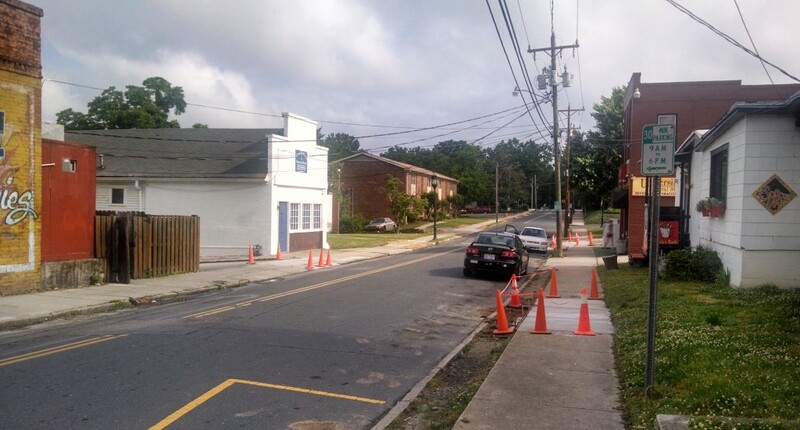 Orange cones mark the spots where city crews began replacing sections of sidewalks last week. A city crew popped up last week to effect some long overdue sidewalk replacement in the 500 block of South Mendenhall Street. Sidewalks throughout the neighborhood need the same kind of attention. It’s anyone’s guess why they picked this spot and whether they’ll continue in College Hill or move on. In any case, guys, it’s much appreciated and we hope you’ll come back soon. This entry was posted in Mendenhall Street. Bookmark the permalink.